10 Ways on How to Monetize a Website: How to Make Money Online. Want to make money online, but don’t know where to start? No worries! In this article, you will learn how to monetize a website and turn it into a money-making machine. Before you learn how to monetize a website, there are some factors that should be considered. There is no such thing as instant cash. Monetizing a website takes time and dedication. You might not get the expected amount of earnings at first, but don’t let that stop you. To get the results you want, there’s a universal factor that every website owner should have ‒ traffic. Without traffic, you won’t be able to earn profit out of your site. Do check our article on how to drive traffic to your website to start things off. Expect a snowball effect. Once you get the ball rolling, it’ll get bigger in time. Now that you have all the factors in check, let’s find out how to monetize a website. When your website is generating enough traffic, it’s time to monetize it! PPC is an online advertising model where website owners can gain passive income each time a reader clicks on an advertisement banner. The most popular tool for this is Google AdSense. Google AdSense is one the easiest ways to make extra money as you don’t need much effort to place ads on your blog or website. Another great thing is that you can still apply to be an AdSense partner even if you have multiple sites. Due to the immense support from Google, publishers won’t have to worry about setting things up. Customer forums and tutorials are also available for users to help them get started. So how much will you be getting? The best part is that Google will always pay you on time, usually between the 21st and the 26th of the month. Read the Terms and Conditions. Make sure that your website meets all the criteria. Proceed to sign up for AdSense and wait for approval. Place the ads anywhere you like on your website. For a full tutorial, check out our article on adding AdSense to WordPress. Selling free space on your site directly to advertisers is also worth a try. This method is more time consuming, but it maximizes the earnings that you will get from displaying advertisements. The spaces can take the shape of a link at the bottom of the page, side banners, or small pop-ons. The pricing for each can also vary ‒ you have control on price negotiations as well. However, to use this method, you need to have a high conversion rate and not just traffic. It’s because this method utilizes the pay-per-click or pay-per-visitor model. You will be paid by advertisers depending on the number of people that clicks the ad or visits the site. So how to let advertisers know that you’re selling ad space? Make a media kit, a summary that outlines the statistics and key facts of your website. Send it to potential advertisers. Let them know why they should work with you. When you’ve landed your group of advertisers, manage them using Google Ad Manager. You can use online tools like Clicky Web Analytics, Quantcast, and Google Analytics to get information about your website. If you have a WordPress site, adding Google Analytics can’t get much more comfortable with our tutorial. Finding the right advertisers can be tricky. But, with the help of Google Ads, LinkedIn, and SellerCrowd you’ll be matched in no time. If you have a talent in reviewing or promoting products, you can try affiliate marketing to monetize a website. Through affiliate links, you can earn commissions when readers buy the products or services of the companies that you affiliate with. Affiliate marketing is one of the easiest methods to earn passive income. You don’t need to have your own products to sell. Websites such as Wirecutter and Smart Passive Income have gained their success through affiliate marketing. Create a website that focuses on recommending and promoting products or, post an item or service reviews related to your content. Join affiliate programs: Hostinger and Amazon or search Affiliate networks: ShareASale and CJ Affiliate. Smoothly slip in affiliate links in your content. This method involves the skills you have and the creative content that you post. Some readers are now willing to give monetary compensation to their favorite influencers. If your content is of value and you need support to grow your website, you can politely ask for donations. Not every reader will donate, but if you have enough traffic, you might gain enough funds to operate your website. You can set up donation buttons on your site that allows readers to contribute directly. Link them to payment processors such as PayPal, Stripe, or Fundly. Add the buttons as widgets and place them anywhere you like. But, make sure the readers can find them easily. You have the products, you have the skills, but you don’t have the physical space to sell or promote them. One solution – go online. Join thousands of others by selling products or your skills, like Bellroy and Tattly. The process of making an online store is more than just creating a simple website. But having an eCommerce store built within a day is not a myth. Choose a domain name and web hosting. Set up WooCommerce or a similar eCommerce platform. Design your store by browsing through themes and customizing it. Places you can start with: WooCommerce theme library and WordPress WooCommerce theme library. Start marketing and get your first sale! It does take time, but nothing is impossible with drive and dedication. For an in-depth tutorial, visit our article on how to start an online store. Sponsored content is a collaboration between you as a publisher and brands that you’re partnering with. Businesses pay you to create content for them and publish it on your site. The content can be in the form of product or sales announcements, offers, infographics, or reviews. They can be written by you or by the sponsoring brand itself. You can charge a higher rate If you’ll be writing the post as well as publishing it on your website. How much influence you have online. The number of sponsored posts you’ll be writing each month. How much time you’ll spend creating the content. Brand value (the sponsored content vs. your blogging brand). BuzzFeed, for example, can charge around $100,000 for a sponsored content piece. This is due to its high influence and brand value. Start small; Kristy Ellington, a content marketer, and strategist recommends to start with smaller national brands and companies. Partnering with marketing and PR agencies. Search around sponsorship markets such as Tomoson, Cooperatize, and PayPerPost. Sponsored content is a viable way to add income to your website. Just remember to be transparent with your readers and be smart about the process. This method is a little different than the others as it involves selling your website. It can be profitable depending on the type of site you run. To get a bigger picture of how much a site can sell, you can browse through the listings at Empire Flippers. A membership website is like an upgrade to the donations method. Here, you’ll be charging readers to access specific content. For example, International Living is an online travel magazine done right. Blue Apron is not just your ordinary recipe blog. Readers need to sign up/subscribe if they want to access the content of these websites. If you’re confident that your content is worth paying for, you can try monetizing your website in this manner. Find the right model for your site. Subscription: users pay monthly or annually to access a site’s content and benefits. Transaction: separately selling individual contents such as tutorial videos, audio downloads, or training programs. Metered: content is free until readers reach a certain checkpoint. They will have to pay a certain amount if they want to continue reading. Set up the paywall. If you have a WordPress site already up and running, then all you have to do is add a member site plugin. Membership & Content Restriction: restricts any part of your content, sets up unique subscription plans, and process membership payments. Simple Membership: creates membership levels and restricts content to specific membership tiers. WP-Members: hides parts of your content and display teasers. It also provides tools to set up dedicated registration forms wherever you want. Check out our article on how to create a membership site with WordPress for a full tutorial. Who doesn’t like discounts? 97% of consumers look for deals when they shop. Another form of affiliate marketing is by offering coupons from affiliate partners. Ebates is the leader when it comes to online discounts and coupons. The site attracts customers and directs them to merchants they’ve partnered with, earning commissions along the way. Putting up coupons in your site is an opportunity to attract more traffic. Post coupons from affiliate partners/programs you’ve joined to your existing sites. Contact your local and national retailers for deals you can promote on your website. These days, classrooms aren’t needed to teach as digital courses are a solution. If you have valuable knowledge to share, you can monetize a website by providing online courses. Digital courses come in different formats. They can be simple PDF downloads, recorded audios, or well-produced videos. Guitar Tricks, for example, has step-by-step videos as well as how-to articles. How to monetize a website via courses? Create a new website, or you can integrate your course into an existing site (blog, eCommerce site, membership site, etc.). Upload content and promote it! Setting up online courses can be a powerful path as there’s no limit to how much profit you’ll earn. Earning money from managing a site can be an exciting experience. However, monetizing a website needs time, dedication and most importantly – traffic. Google AdSense ‒ display ads while Google does all the work. Selling Ad Space ‒ directly connect to advertisers, managing your own ads while maximizing your earnings. Affiliate Marketing ‒ join affiliate programs and enter the affiliate market to earn commissions. Donation Based Monetization ‒ ask your readers for donations. Selling Your Own Products ‒ charging people for goods and services. Sponsored Content ‒ collaborate with businesses and get paid. 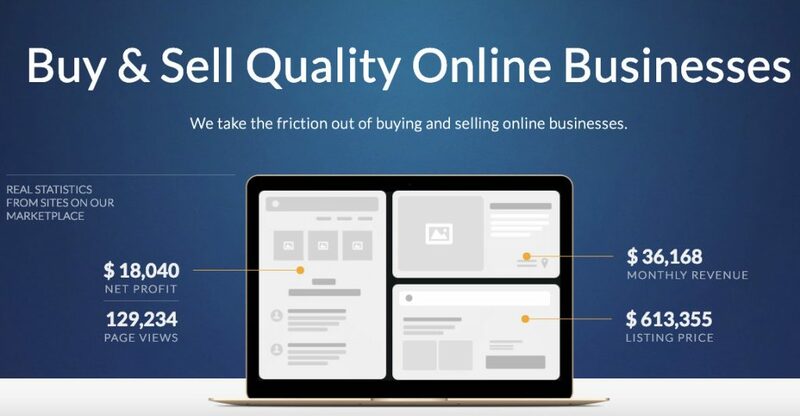 Flipping Your Website ‒ selling websites. Membership Website ‒ readers pay to access your content. Coupons with Affiliate Links ‒ offer coupons and discounts from partnered merchants. Set Up Online Courses/Coaching ‒ share your skills and knowledge while earning money at the same time.